Here at GothRider, we love skulls. From t-shirts to watches, and even leggings, there is no better accessory than an artful skull. 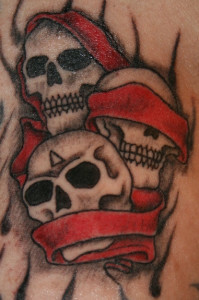 We especially love skull tattoos. Here are some of our favorites! 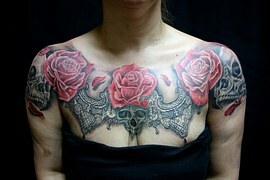 The combination of roses and skulls is existential: life and death intertwined. 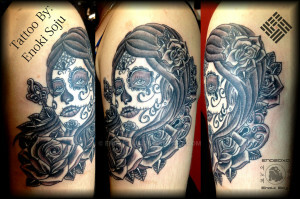 We just love the Dia de los Muertos look, don’t you? 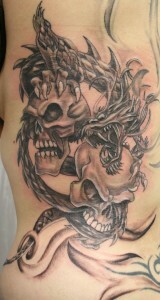 We can just feel the aggression in this dragon tattoo. 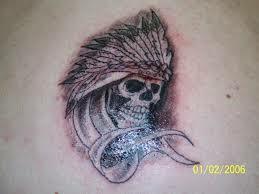 A tribal skull; check out that detail on the headdress! The floral look is an nice addition. 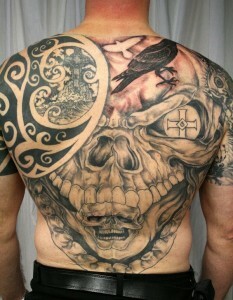 The symbolism in this back tattoo is impressive. 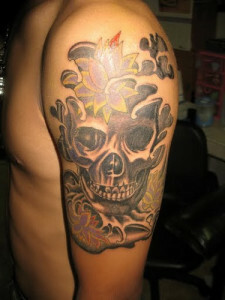 Do you have any amazing skull tattoos? Let us see in the comments!